Manny Machado will play his first home game at Dodger Stadium, and new acquisitions Joakim Soria and Mike Moustakas will continue to get acquainted with their Brewers teammates. All three players were acquired in recent trades. 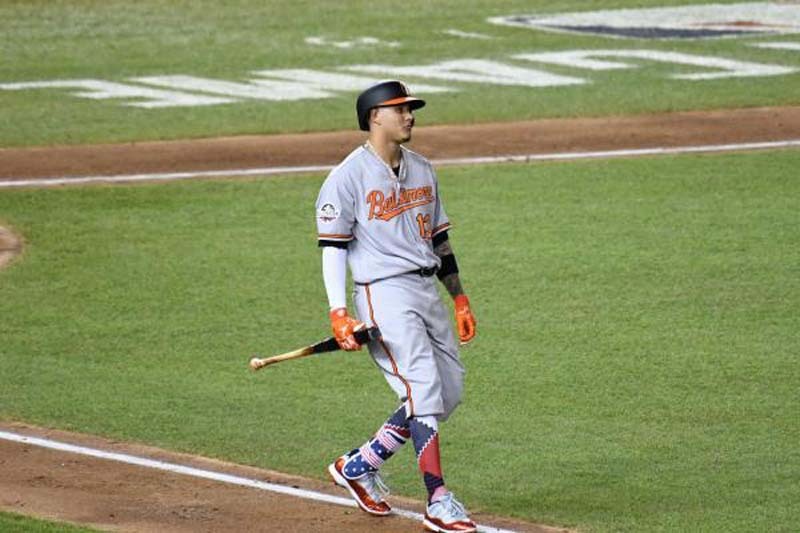 The Dodgers obtained Machado from the Baltimore Orioles. The Brewers picked up Soria from the Chicago White Sox on Thursday and Moustakas from the Kansas City Royals on Friday night. [post_ads]For the Dodgers, Monday's game will not only be their first at home since July 15, it will be a chance to redeem themselves after nearly being no-hit Sunday by Sean Newcomb in a 4-1 loss at Atlanta. Chris Taylor broke up the no-no with two outs and two strikes in the ninth inning on a ground-ball single, and then scored on a hit by Machado. The Brewers will be coming off a series in San Francisco that they sealed with victories in the first three games of the four-game set. The Brewers have won five of their last seven games after losing two of three to the Dodgers last weekend in Milwaukee. Soria pitched a scoreless inning in the series and Moustakas went 2-for-9 in his first two games since flying to San Francisco from New York. The recent run of success has helped the Brewers to distance themselves from a seven-game losing streak that extended into the first game of the second half. "I told you guys it was going to be all right," Brewers outfielder Christian Yelich said, according to mlb.com. "I know when you go through those skids it doesn't feel like it's going to be all right or ever going to change. But it does. I feel like that's pretty far behind us now, but we have to keep going. We have to keep doing it." That Dodgers-Brewers series in Milwaukee marked Machado's debut with the Dodgers. He has gone 13-for-43 (.302) for the team with a home run and a triple. The Dodgers are in the midst of their roughest part of the season by far. They faced three playoff-contending teams on a 10-game trip to open the second half, going a respectable 6-4 on their journey to Milwaukee, Philadelphia and Atlanta. "All three teams we played were tough teams, legitimate playoff teams," Taylor said, according to the Los Angeles Times. "We had some really good games. We lost a couple close ones, won a couple close ones. That's the type of baseball we're going to be playing in October, hopefully." The Dodgers not only play the Brewers on the upcoming homestand, they will also get a World Series rematch with the Houston Astros next weekend. The Brewers are scheduled to send rookie right-hander Freddy Peralta (4-2, 3.74 ERA) to the mound in the series opener. The Brewers are 5-3 in his previous eight starts, but he is coming off an outing against the Washington Nationals on Wednesday when he gave up seven runs, four hits and four walks in six innings. The 22-year-old Peralta has never faced the Dodgers in eight career starts. The Dodgers will open their four-game series against the Brewers and the seven-game homestand with right-hander Kenta Maeda (7-5, 3.27) on the mound. He last pitched in Tuesday's 16-inning loss in Philadelphia, where he allowed four runs and six hits in seven innings. Maeda is 2-1 in four career starts against the Brewers with a 2.01 ERA. He has 28 strikeouts against Milwaukee in 22 1/3 innings.